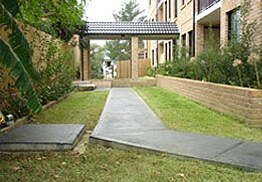 And more – for any size strata property. Who can you trust to look after your garden all year round? 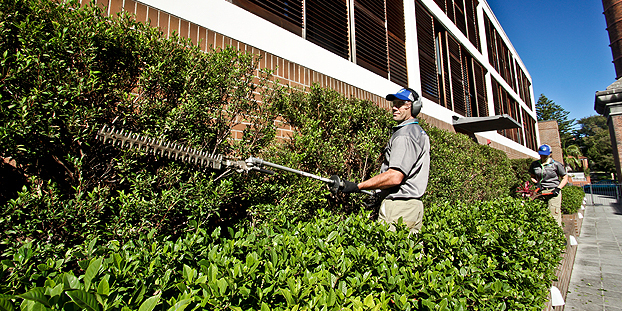 Who will keep your hedges trim and tidy? 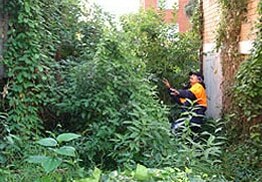 Who will prune, trim and fertilise the plants in your garden? 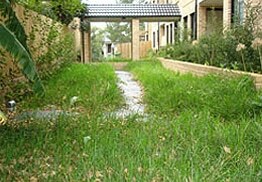 Clean Green Strata has maintained strata gardens in Sydney, Central Coast, Wollongong and Newcastle areas since 1992. 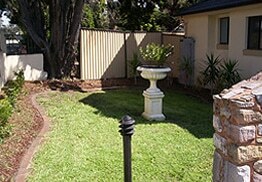 Our workers are trained horticulturalists, equipped to maintain any garden – no matter what state it is currently in or how you would like it to be – at any size strata property. Why choose Clean Green Strata? 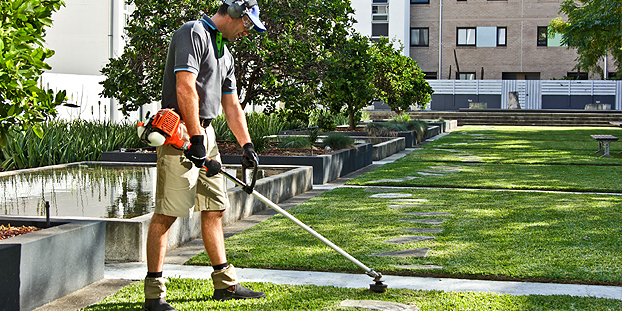 Our team of qualified horticulturalists have the experience – and access to all the equipment and personnel they need – to help maintain and care for the garden at your strata property. No matter what size your garden is – or the current state it is in. 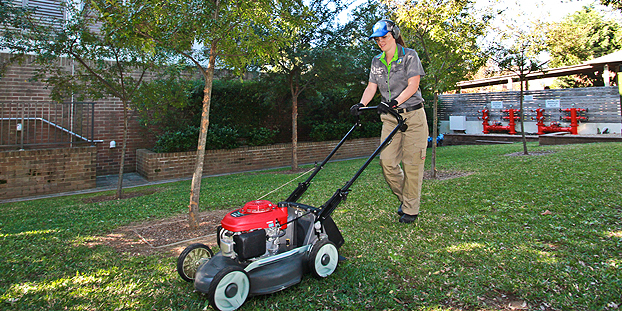 Each member of our gardening team is a qualified horticulturalist. 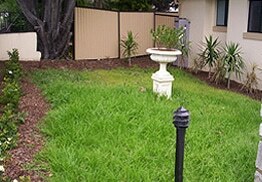 This ensures that the gardening done at your property is of the highest professional standard. And that your garden is well maintained. We understand that owners’ corporations are wanting the most efficient service for every dollar. 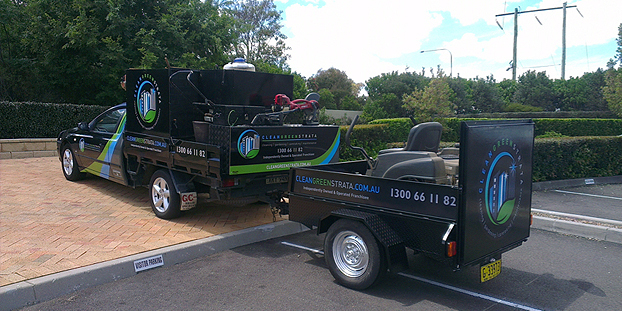 We can service any property on any budget. 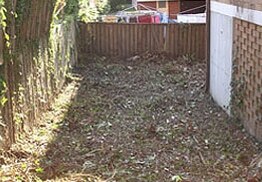 If it’s simple monthly garden maintenance then please let us help. 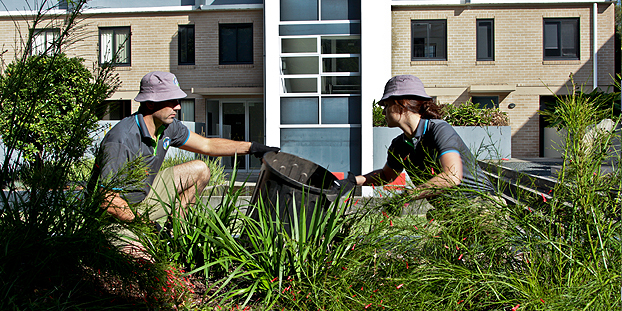 This makes them easy to recognise – so you and the residents of the strata properties can be sure that only authorised personnel are working in their garden. Each van has the Clean Green Strata logo and contact information on the side of the vehicle, so you and the residents will always be sure only authorised vehicles are pulling onto your property. This allows you and the board to provide personal feedback on the gardening taking place at your strata property, so that we can make sure our service is up to your standards – and that our employees are doing the best job for you. This is also helpful because it takes a level of follow-up off the hands of the strata manager. The Property Assessment Report is an internal quality control measure that we use at Clean Green Strata, to monitor the work and the performance of our staff at your property. It is available on request.